Just because a drug has managed to successfully meet earlier trial goals, it's no guarantee it will continue to do so. On Tuesday, Gilead, Elan and Transition Therapeutics halted trials of experimental drugs that had previously showed promising results. Elan Corp. (ELN) and Transition Therapeutics Inc. (TTHI) have partially halted a mid-stage clinical trial of their experimental Alzheimer's drug, ELND005. They said that patients will be immediately withdrawn from the study in the two higher-dose groups of 1,000 milligrams and 2,000 mg twice daily, due to greater rates of serious adverse events in those groups, including nine deaths. 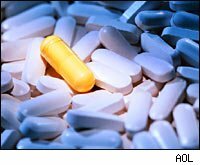 While the study will continue for patients who are assigned to the lower-dose (250 mg twice daily) and placebo groups, the partial halt raises the question whether the drug will now get to market. This despite an encouraging Phase I study that showed the drug remained in the brain tissue and helped preserve an enzyme that protects nerve cells. While Elan shares dropped about 2% in early trading, shares of Toronto-based Transition Therapeutics plummeted over 45%, as smaller Transition has much more riding on this drug than its larger partner, Ireland-based Elan. Transition has an an even smaller partnership with Eli Lilly (LLY) for its diabetes franchise. The fact that the drug's development may be halted altogether is a blow not just to Transition but to patients hoping for better drugs in this hard to treat area. But Elan has more in its Alzheimer drugs pipeline. In fact, earlier this year, Johnson & Johnson (JNJ) and Elan signed a deal giving J&J control of most of Elan's Alzheimer's research. They are developing another Alzheimer's drug called bapineuzumab, which has a different mechanism of action and unlike ELND005 is in final-stage clinical trials. It's important to note that the highest dose of bapineuzumab was also dropped from testing in April because of safety concerns. Alzheimer's, a leading cause of dementia, is a progressive brain disorder which gradually destroys a person's memory. It's estimated that more than five million people in the U.S. have Alzheimer's disease and more than 24 million people worldwide over the age of 60 have some form of dementia. Finding treatments for the degenerative brain disease has proved very difficult, making it a promising field for a company that manages to find an effective therapy. Elan and Transition were not alone in halting trials. Gilead Sciences (GILD) reported late Monday its experimental blood hypertension drug darusentan failed to meet its primary goals in a late-stage study and did not lower blood pressure compared with placebo. Gilead inherited darusentan when it bought Myogen in 2006 for $2.5 billion. At the time, darusentan was billed as a lead candidate for the blood pressure market. Today, it seems like an expensive mistake. Norbert Bischofberger, Gilead's Chief Scientific Officer said, "As a result, we think it would be challenging to define an expedient path forward. We would likely be required to initiate another Phase III study and would rather allocate our resources to other promising research and development opportunities in our pipeline." Gilead shares dropped nearly 4% in morning trading. But analysts have already expected difficulties, albeit perhaps of a different nature after in May the company reported on some safety concerns. So while analysts have expected difficulties to come from safety, not efficacy, the response wasn't a flat out disappointment. Analysts at Oppenheimer, however, recommend buying Gilead on weakness, saying the company will have strong HIV franchise growth and positive clinical trial results in the near-term. It seems Gilead should have stuck with its strength -- HIV drugs -- and not try to diversify away from it through costly and unsuccessful acquisitions.